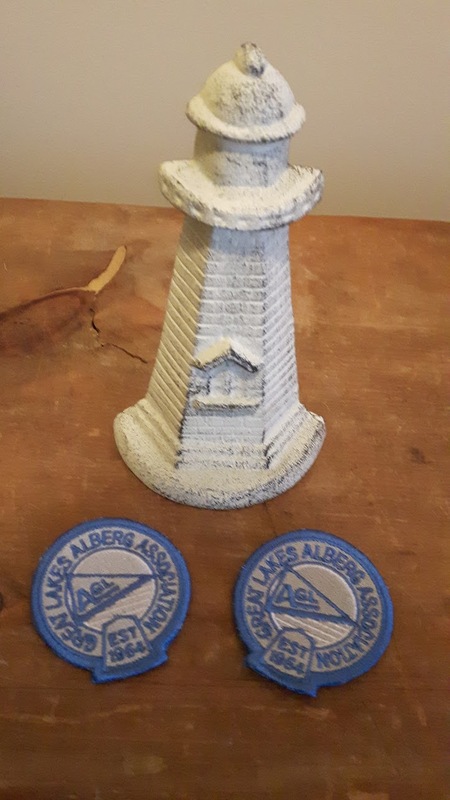 The Great Lakes Alberg Association. but plans are underway for the 2019 season. Keep an eye on the events calendar. Details are being added as they become available! 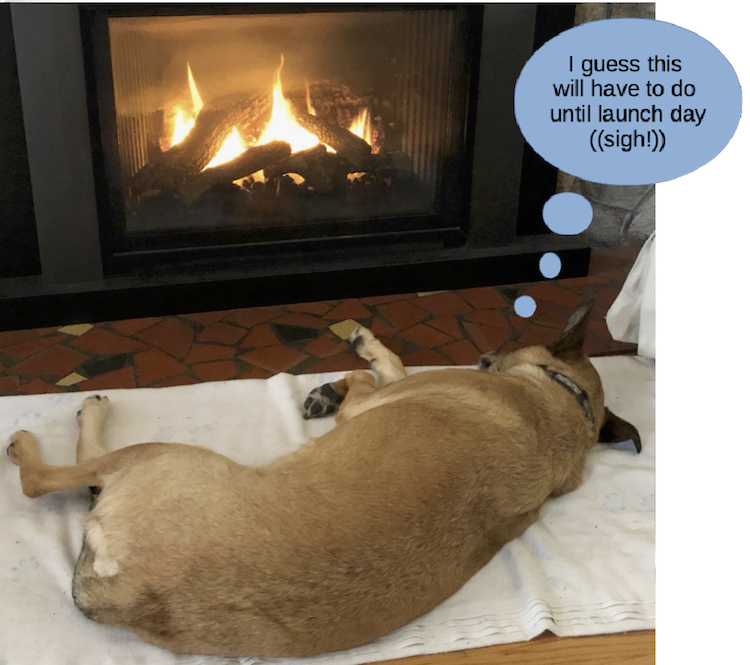 To see our Winter 2019 Newsletter follow THIS LINK. Click Here! Submit your photos, stories, ideas or anything else you can come up with! We are happy to announce the addition of a crew roster to our racing page. Have an Alberg you want to race but need crew? Eager to race but don't have a boat? 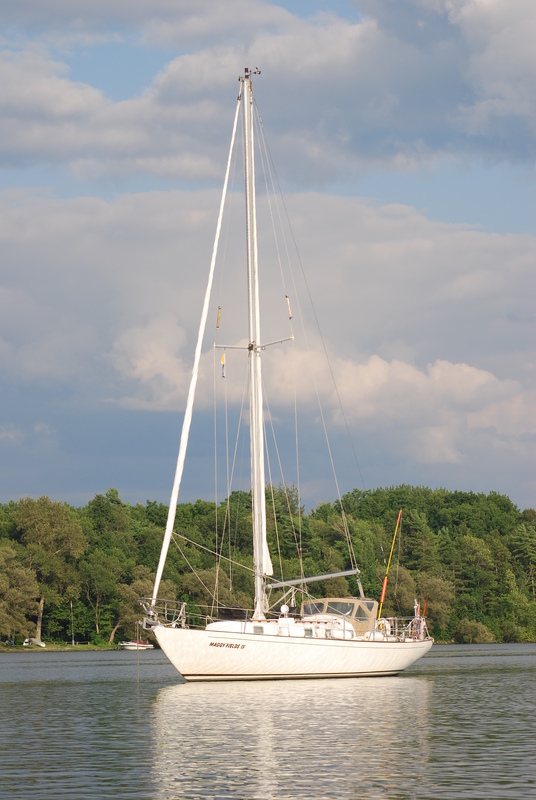 and may be the perfect year for you to discover the experience of sailing an Alberg. Contact Us to add your name to the list. KEEP AN EYE ON THE COUNTDOWN CLOCK! on the upcoming 2019 GLAA racing and cruising season. Let's all get out there and get involved! Full coverage of the event is in our Summer/Autumn newsletter. Click Here! Just a few images from the 50th Anniversary Syronelle Classic. You'll find more on our racing page. to renew old friendships and create a few new ones. Visit our calendar regularly to see what else is happening and what you can be a part of. The dates and locations for all our planned summer and fall events are now posted in the calendar. hosted by our neighbours to the south. Visit the cruising and racing pages as well as our Events Calendar for details and contact information. 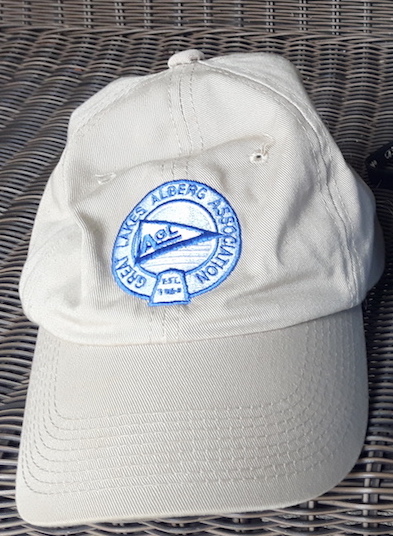 We now have a spreadsheet document listing the known history of every Alberg 30 by hull number thanks to the efforts of a few good folk from the Chesapeake Bay Alberg group; namely Mike Lehman and Jonathan Bresler. This is a living document that is always open to revision and updates as and when they become available. Look up your hull number and check out the information. If you know something we don't, let us know and we can update the document. Follow this link to download a copy of the spreadsheet. Richard and Margaret have been living aboard their Alberg 30 'Into The Blue' since 2005. Their blog tells the story of their journey so far. You will also find an astounding amount of useful information including plenty of detail on modifications they have made to make their Alberg their home. Looking for something special for the sailor in your life? We have great gift ideas. These new car decals, measuring approximately 5 by 8 inches, will be available at the AGM and will soon be added to our standard regalia order form. At only $5.00 each, they will be a very inexpensive addition to your collection of Alberg goodies! Follow this link to see all our great gift ideas and information on how to order. 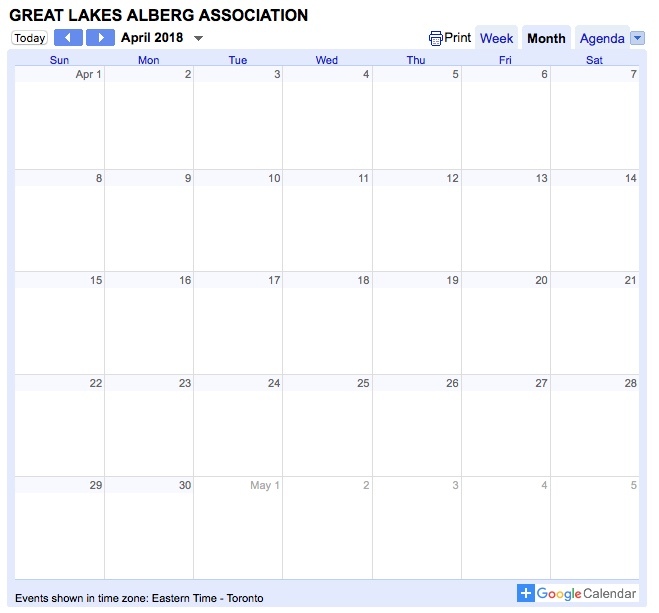 On behalf of the Executive Board, I am delighted to welcome you to the Great Lakes Alberg Association (GLAA) website. Our website will provide you with ample information on a variety of Carl Alberg's beautifully designed sailboats as well as share details of activities and events the GLAA has planned throughout the year for members and their guests. The GLAA is an Alberg sailboat owners Association with members of all ages and levels of sailing abilities and boat maintenance skills. Our membership is spread throughout the Great Lakes regions, and into the U.S.A. 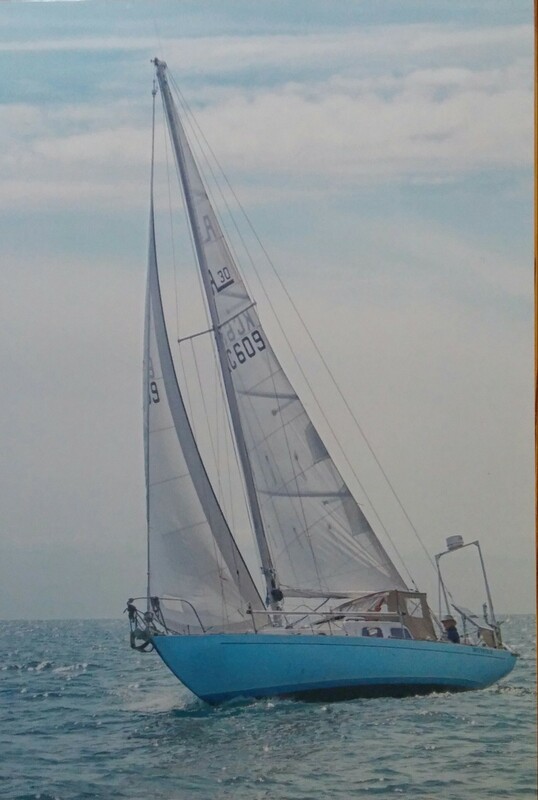 The GLAA's sister group is the Chesapeake Bay Alberg 30 Group, and together have shared a long-standing tradition of Team Regattas for Alberg 30s which are held annually in the Spring and Autumn months...one on Lake Ontario and the other in the Chesapeake Bay area. Please take a few minutes to cruise through our website, and be sure to visit our Calendar page where you will find our annual Sailing Programme full of dates and details for racing, cruising and social events. This year, 'The Archives', 'Maintenance' and 'Racing' pages are just a few of the NEW sections which have been added to our website. I encourage you to keep checking back throughout the year to see what new information has been added. We are always looking for ways to improve our website so please, if you have any suggestions or ideas, send them to Rob Feeney, our website administrator at rfjfeeney@gmail.com. 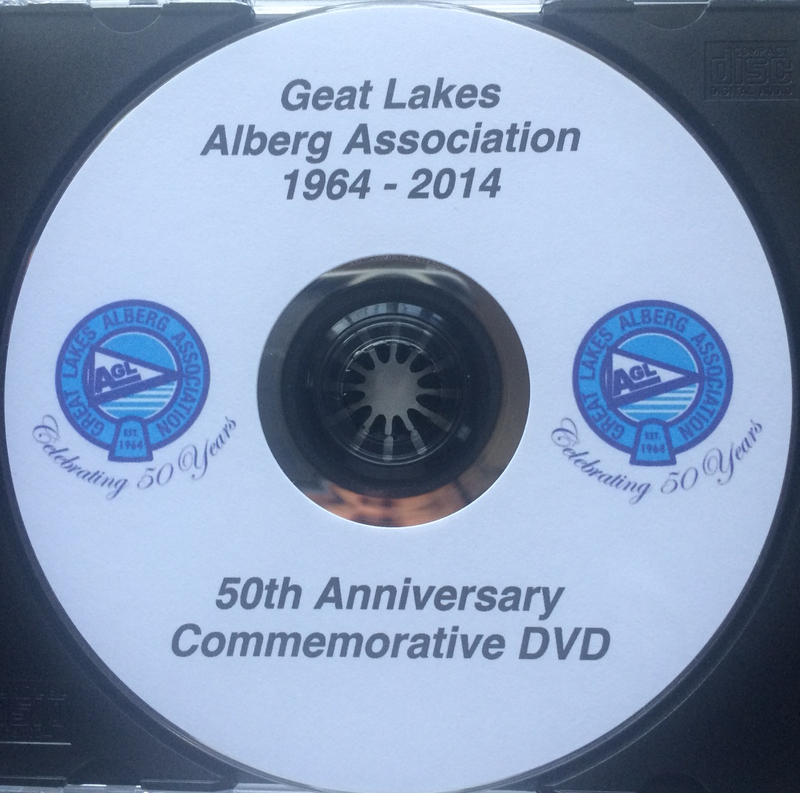 Members of The Great Lakes Alberg Association are sailing enthusiasts with two passions--the classic designs of Carl Alberg and the unmatched splendour of the largest fresh water lake system in the world. Alberg designs share a traditional beauty and grace typified by their full keels, spoon bows, wine glass stems and pleasing sheer. They are fast and elegant racers, yet rugged and affordable cruisers. 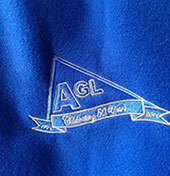 The Great Lakes Alberg Association welcomes new members to participate in the racing and cruising events, share their experiences and expertise in maintaining their Albergs, and to take advantage of the collective wisdom of fellow Alberg sailors through the articles shared in past Newsletters, the Maintenance pages and the Archives. Now you can pay your membership dues online!! 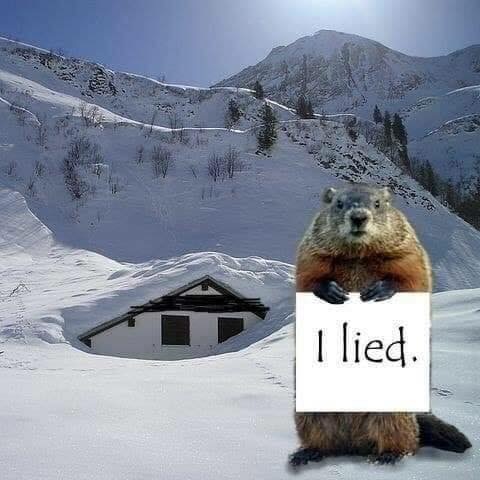 The Great Lakes Alberg Association membership fee is only $45 per year. For more information on becoming a member please visit our Membership area. Visit our dedicated Racing Page. Click Here! Now with results, pictures and the stories of recent and past racing events! The GLAA organizes four A30 races each season. Three white sail races are normally held on Lake Ontario and one spinnaker race on the Chesapeake Bay near Annapolis, Maryland. The first race, in June, is the Syronelle Cup between teams from the GLAA against a team of racers from the Chesapeake Alberg Association, using loaner boats. This is a two day event with three races. 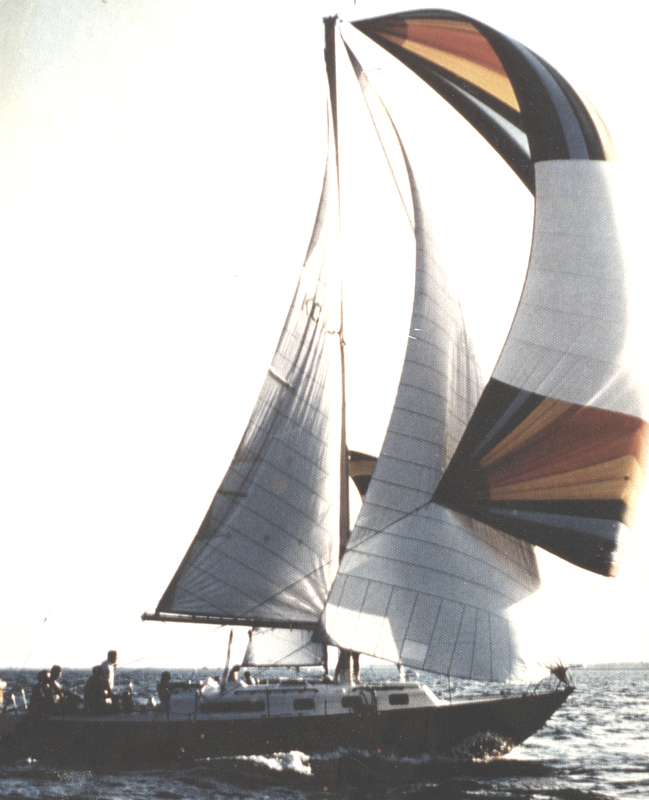 The second race, the Triangle Cup, is held usually in conjunction with a GLAA rendezvous on Lake Ontario. The third race, Great Lakes Championship is held in late August. 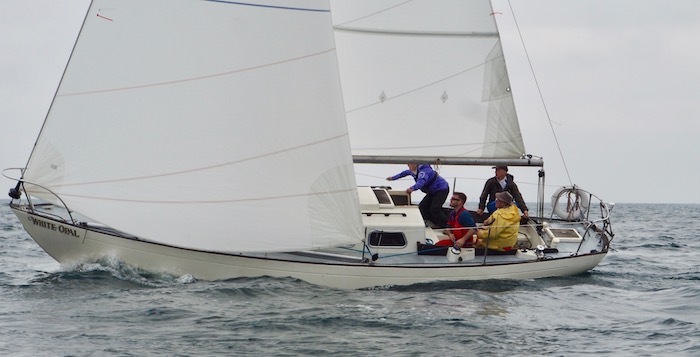 The Rankin Regatta race in the Chesapeake is a two day event with three races between a team from the GLAA, using loaner boats, and some really competitive racers from the Chesapeake Alberg 30 One Design Association. The winner of each race gets a trophy, a keeper trophy and flags are awarded as well. While the emphasis is on racing, each race is a great social event as well, so some folks just come along for the party. Want to experience the thrill of racing? Then join one of our crews. No experience required. See our Events Calendar and Contact Us today! Visit our dedicated Cruising Page. Click Here! Alberg designs make wonderful boats, not only for family cruising but for the single handed cruising sailor as well. Many have logged circumnavigations, transatlantic crossings and southern ocean voyages with their Carl Alberg designed boats. The GLAA hosts an annual Summer Rendezvous at a location on Lake Ontario, and members are encouraged throughout the Summer or organize their own informal cruises with other members (and Albergers who might be interested in becoming members) and their families. 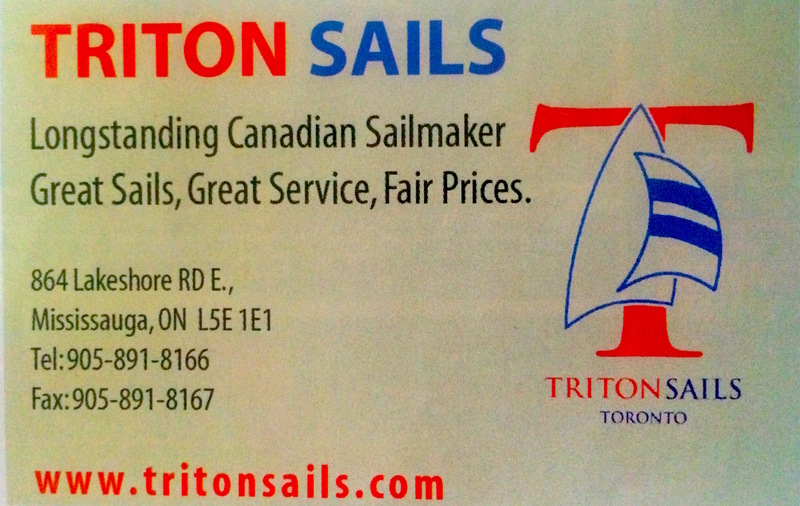 With most Albergs long out of production, maintaining aging sailboats is a common concern. 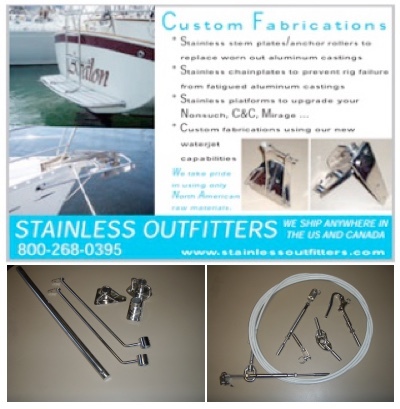 This site features an ever-growing archive of Maintenance articles and we invite members to share ideas on everything to do with these fine boats. Also, keep an eye out for our newsletter, appearing in spring, late summer/fall and winter editions annually. This program allows businesses in the marine industry to advertise on our web site with links to their own sites that will allow our members and visitors to easily get in touch with them. Planning for the 2019 season is well underway. Some details are posted in the calendar and more will be added as they become available so visit the website and check the calendar often. Know of an event that Alberg owners and enthusiasts might be interested in? Have it added to the calendar so we can spread the word as the date approaches. 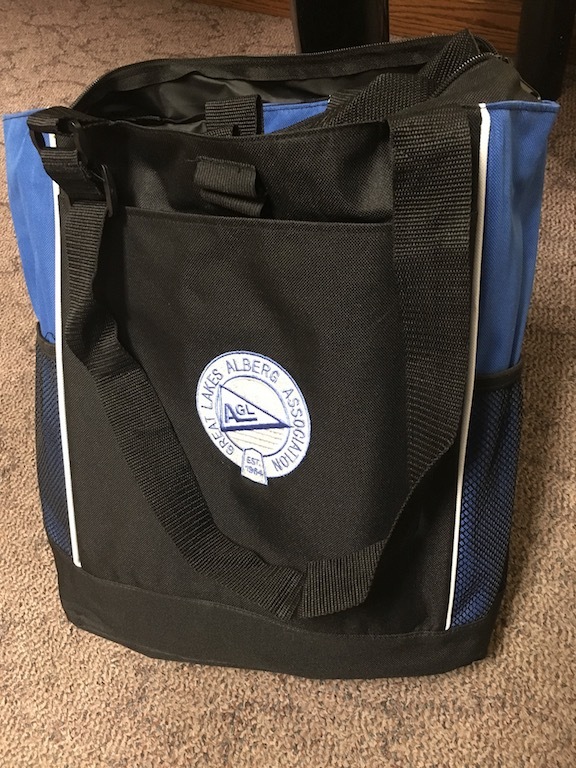 Looking for a great gift for the Alberg sailor in your life? Here are few ideas! Details on prices and how to order, please click here. Lots of great ideas for a gift or to treat yourself.